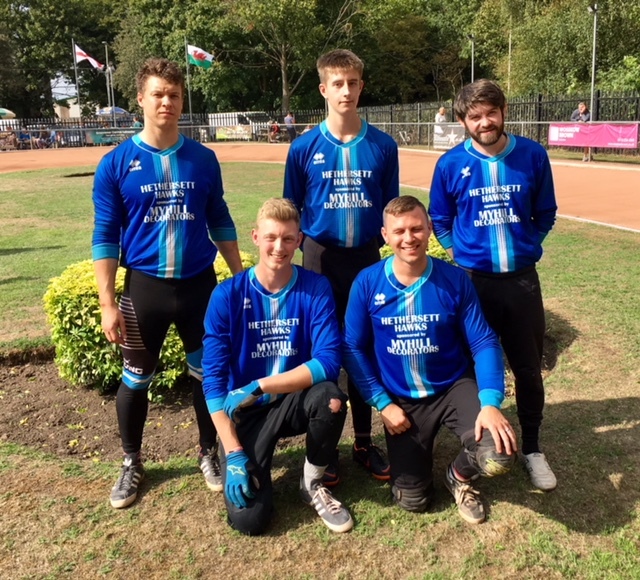 HETHERSETT HAWKS /MYHILL DECORATORS gave an excellent account of themselves in the British Open Club Championship at Leicester. They battled hard in a Semi-Final with Olly Buxton getting vital points in heats 18 and 19 leaving experienced Leigh Cossey to secure a race-off for the Hawks with a third place in the final heat. Top scorer Liam Webster lined up for the race-off but no race was required with Stockport’s Jake Read suffering an exclusion for movement while “Under Starter’s Orders”. So Hawks made it through to a rare Final appearance. Up against the best in Britain the final was always going to be tough but all five Hawks got among the points with Owen Wells’ heat win over Paul Heard a second half highlight. That win opened up the top of the leader board and Suffolk side Gt Blakenham came through to win by the narrowest of margins. Owen Wells then travelled to Exeter to represent South East & Eastern Juniors. He scored 10 points as the team narrowly lost to South & South Wales 90-88. Four Hawks are on their travels this weekend for the British Individual Championships. Shaun Kell (Little League Under-10s) and sister Josie (Under-12 Girls) are at Astley near Manchester on Saturday while Owen Wells (Juniors) is at Sheffield Sunday and Paul Delaiche (Under-16s) is at Hull on Monday. The fifth Norfolk GO–RIDE and Senior GP is being staged at Harford Park on Wednesday 29th.